Do tacos taste better when they're discounted on a Tuesday? Science says yes, they do. Here are all the best spots you can get down on those sweet deals, divided up by neighborhood. The deal: Two-for-one tacos, all... day... long. The deal: $5 margs and tequila shots, and from 4-7pm, you can grab three tacos for $5 (you can even get brisket). The deal: All tacos: 85 cents. The deal: $1.50 fish tacos, boys and girls! The deal: 99-cent shredded beef tacos and crispy chicken tacos. TACOS. 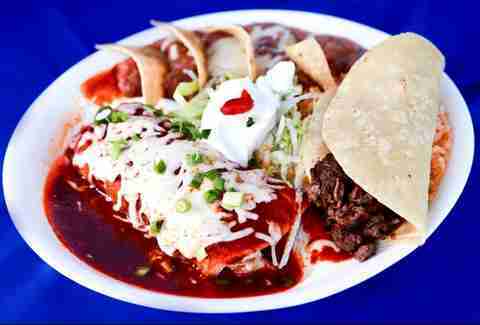 The deal: This Downtown spot's got one buck tacos -- and over a dozen different hot sauces. The deal: If you’re willing to eat at a bar located inside a Whole Foods, you’ll get your hands on some $2 tacos. The deal: Fish tacos for $1.20. 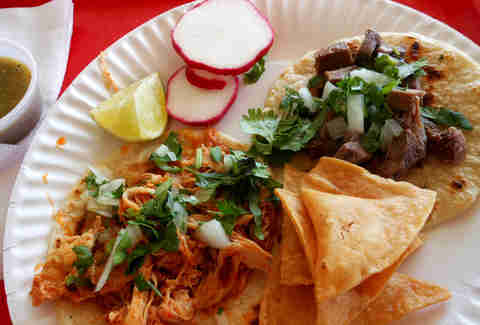 The deal: $1.29 for tacos with any of nine types of meat including lengua, cabesa, and Al Pastor. The deal: Two extremely high-quality tacos for $5. The deal: $3 tacos and $3 draft beers all day at all locations. The deal: All tacos 99 cents. The deal: Every taco is $1.25. The deal: This local favorite's got all of its tacos for less than $3. The deal: Tacos? $1.70. Lou Dog smell? Totally free! 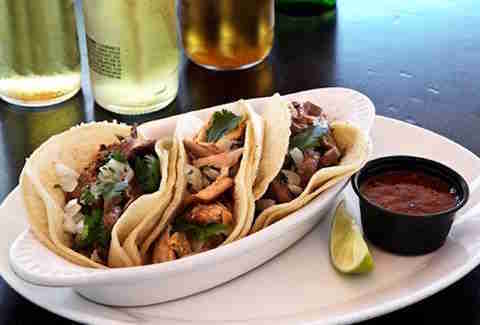 The deal: $3 chicken, steak, pastor and veggie tacos, $4 fish tacos, and $3.50 draft beers. The deal: FREE TACOS AFTER 10PM. FREE TACOS AFTER 10PM. FREE TACOS AFTER 10PM. The deal: $1 tacos with the purchase of any drink -- including a $5 margarita during 4pm-8pm happy hour. The deal: $1 tacos, yo! 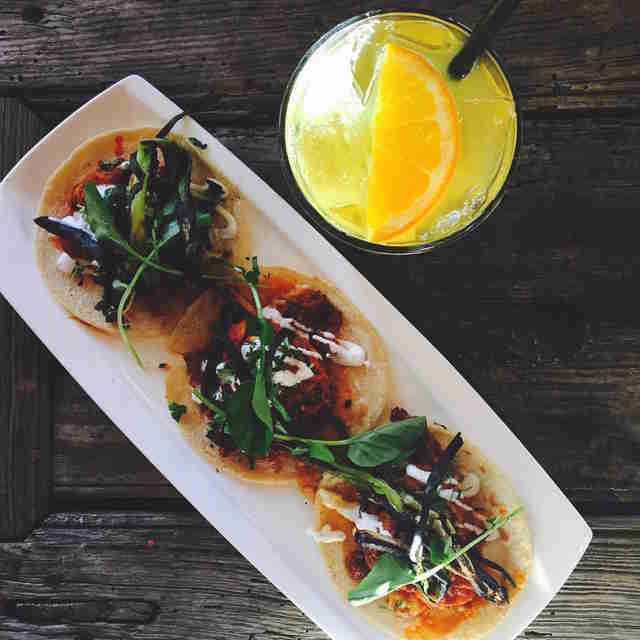 The deal: More $1 tacos -- as well as four shots of Patrón for $18. The deal: Tacos are $1, Coronas are $4. 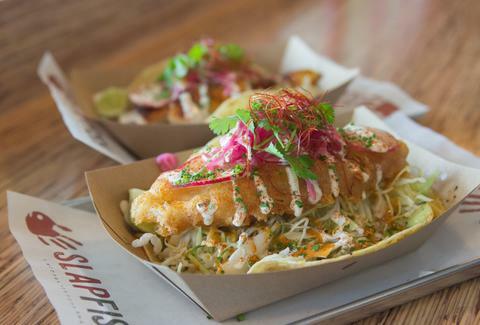 The deal: $4 lobster tacos, $3 shrimp tacos, $2 fish tacos, and $1 lobster sweet potato tots. The deal: From 2:30pm on -- $1.50 fish tacos and $2 domestic beers. The deal: 99 cent tacos topped with their homemade salsa. 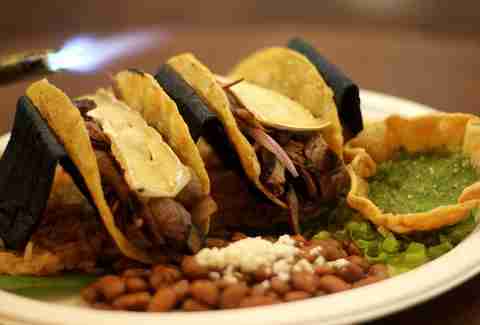 The deal: $1 tacos, including hard shell beef, chicken, potato, or bean, and softies like birria, lengua, and tripe. 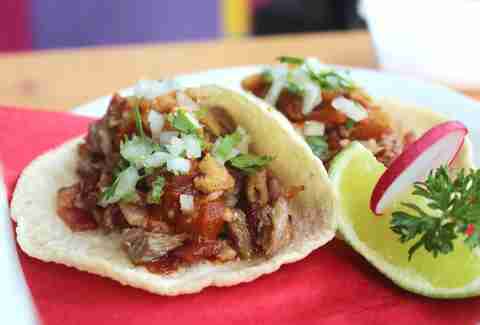 The deal: Chicken, beef, or carnitas tacos for $1.25 each. The deal: Knock back some of Flamingos killer margs as you crush their $1.99 tacos. The deal: Shredded beef and chicken tacos for just $1. 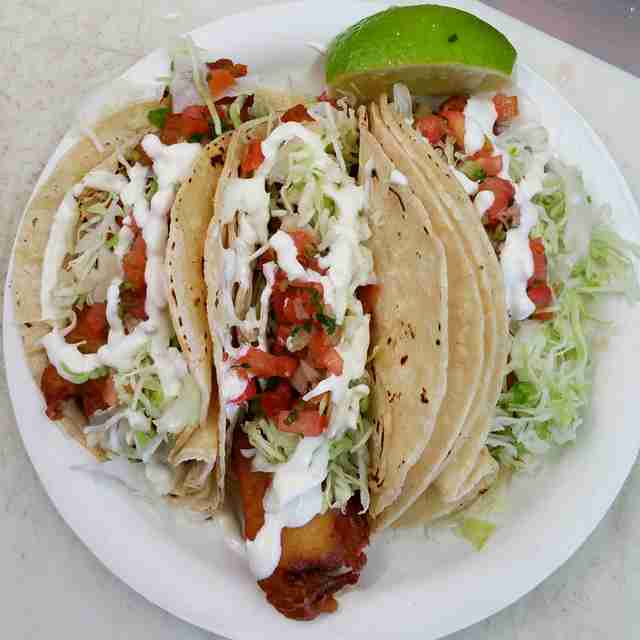 The deal: Fish tacos for 99 cents. The deal: Three tacos, plus a tallboy of New Belgium beer, for $10. The deal: $1 meat tacos, $2.50 fish tacos. 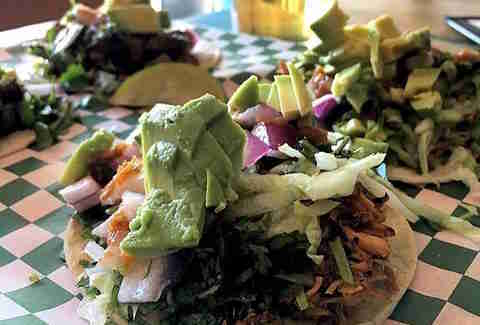 The deal: All of their locations have dollar Taco Tuesday deals, including this one right on PCH. The deal: From 3-7pm, one dollar tacos. 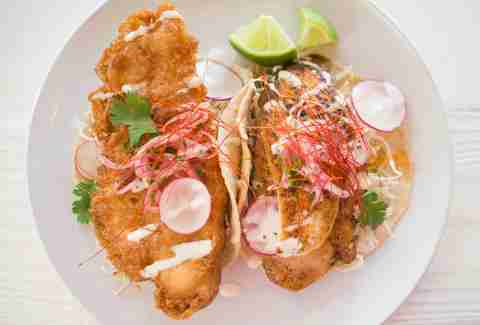 The deal: From 4pm 'til close you can grab fish, kalua pork, or grilled Jidori chicken tacos for $4. The deal: $10 gets you three tacos and a tallboy of New Belgium. The deal: Tacos range from $1.50-$2.50 depending on how stuffed you want 'em. The deal: All potato and meat tacos are just $1. 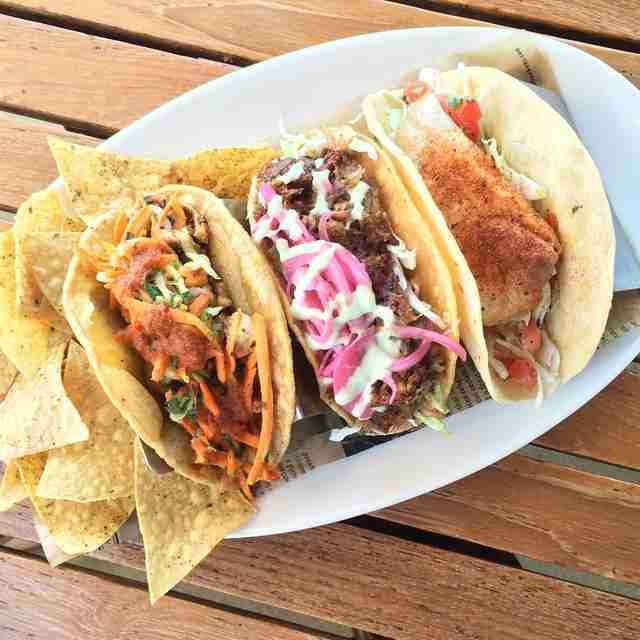 The deal: Save a buck on each taco, or get three for $9. The deal: $2 fish tacos. The deal: $1.50 tacos for your eating pleasure. The deal: From 4-11pm, buy a $3 beer and get all-you-can-eat tacos for just $5. The deal: Street-style tacos are $1 all day. The deal: Each taco just $1.50! The deal: $2-$2.50 tacos, $5 margaritas, $20 margarita pitchers, and $1 off beer and wine! 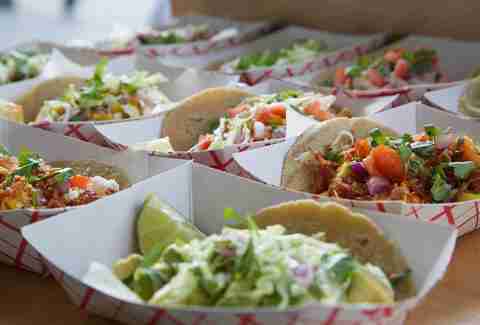 The deal: Basically a Taco Happy Hour Tuesday, with $1 street tacos from 5-7pm. The deal: $1 fried chicken (!!!) and shredded beef tacos, all day. The deal: This spot near Huntington Beach's got $2.50 margs, $2.50 draft beers, and $1 tacos all day. The deal: $1 fish tacos, all day. The deal: $1.50 per taco. The deal: Nary a taco to be seen that doesn’t cost $1.50. 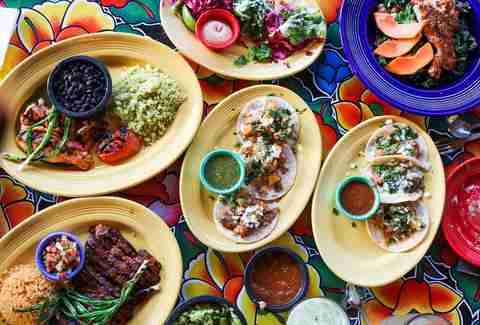 The deal: $10 scores you a free pass to all-you-can-eat-tacos. The deal: $3 tacos and $7 frozen margaritas. The deal: $3.25 tacos, and deals on other apps. Wilder Shaw doesn’t need it to be Tuesday to eat tacos. Plan a taco crawl with him on Instagram at @wildershaw and Twitter at @WilderShaw_.